Recent entries in Electricvehiclesresearch.com alerted your editor to a novel combination of batteries and supercapacitors to gain power and energy – usually mutually exclusive in energy storage devices. The Paper Battery Company (an intriguing name) makes an extremely thin supercapacitor that can be literally wrapped around a battery or structure to make a hybrid energy storage device that allows the best features of both. Their PowerWrapper™ Supercapacitor is a half-millimeter thick (or as Paper Battery insists –thin) 4.5 Volt device that can be flexed to fit over or around “your device, folds, bends or cut outs.” This conformability still allows hundreds of thousands of charge/discharge cycles, supercapacitor longevity being one of their big selling points. Voltage up- and down-conversions as either continuous streams or pulses at high power from any battery chemistry to maximize its extractable energy. …Electronics integration of advanced high energy battery chemistries without conventional large, noise-inducing converters. … High power and voltage delivery with a high energy, low voltage battery, making advanced high-energy battery chemistries more compatible with electronics. … Asynchronous power pulse demands [can] be met easily using a cheaper or smaller battery, enabling better user experience for high power modes with longer battery run time. Replace[ment of] board-space-consuming buck or boost converters. A demonstration of PowerWrapper’s abilities involves its mounting on an appropriate paper airplane. 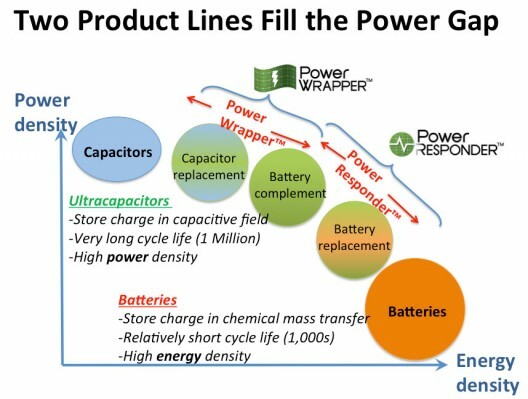 Because Paper Battery doesn’t give up much hard data other than two voltage levels, 2.7 and 4.5, for their products, it’s hard to judge just where the varying levels of power and energy fall among the company’s products – which fall between pure batteries and pure supercapacitors. 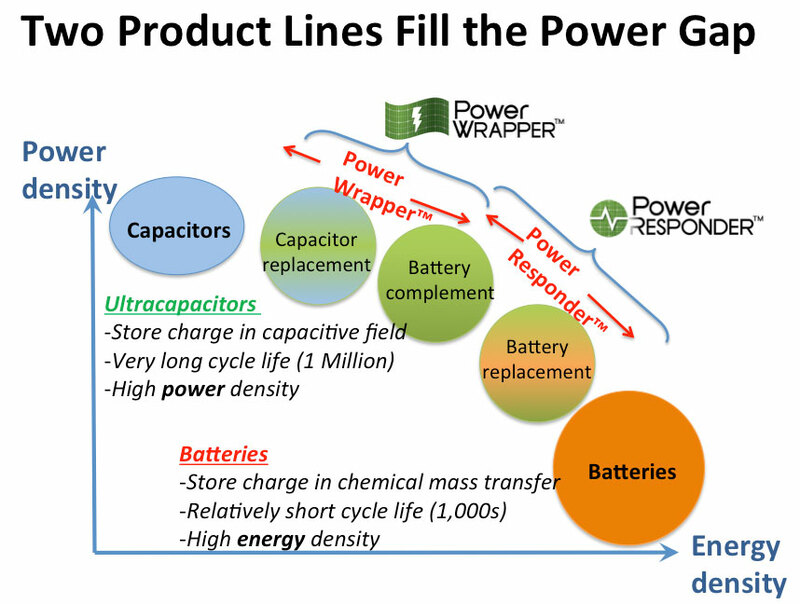 They tout their benefits in the following: “The higher power and energy densities (by weight and by volume), of both PowerWrapper(tm) and PowerResponder(tm), yield superior supercapacitor performance, and thereby greater gains in power, runtime and cycle life over supplementing batteries with traditional cylindrical supercapacitors. Designers now can use smaller batteries without losing performance or keep the same size battery and get increased performance. These PBC supercapacitor benefits can be extended beyond lower-installed battery cost, and into lower warranty, service, and replacement costs. 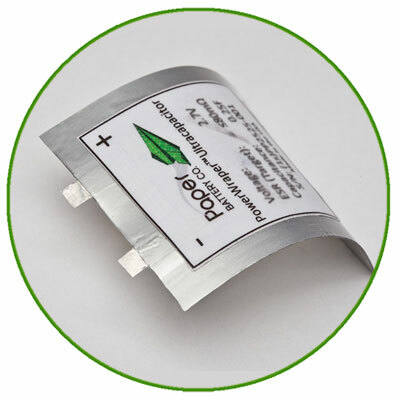 PowerResponders are hybrid supercapacitors that Paper Battery claims can store 150 Joules per cubic centimeter, about five to six times that of conventional supercapacitors. That converts to about 0.0416 Watt-hours per cc, or 41.6 Watt-hours per liter – still not exactly outstanding volumetric efficiency compared to lithium batteries. The firm claims either of the Paper Battery products will reduce the size of the installed power pack, batteries can be installed closer to the motor, eliminating long wire runs. Either unit can be recharged in under three minutes, another advantage of all capacitors. The company promotes their products with the idea of lowering stress on batteries, increasing performance and overall service life. For those wanting to test these premises, Paper Battery has a Fast Charge Developers Kit for $400 that includes a fast charger board, a user manual, technical support for optimizing the charging protocols and two 350F(arad) PowerResponder cells. Product developers can integrate the conformable PowerResponder™ supercapacitor over existing structural components, as in the headband of wireless headphones. Paper Battery shows potential applications for electric scooters and small vehicles at this time. Their energy density level seems comparable to lead-acid batteries at this stage. Whether later developments bring even greater energy and power densities remains to be seen.